Personalized burp cloth with blossom design. Choose your ribbon color and big initial/small name colors. 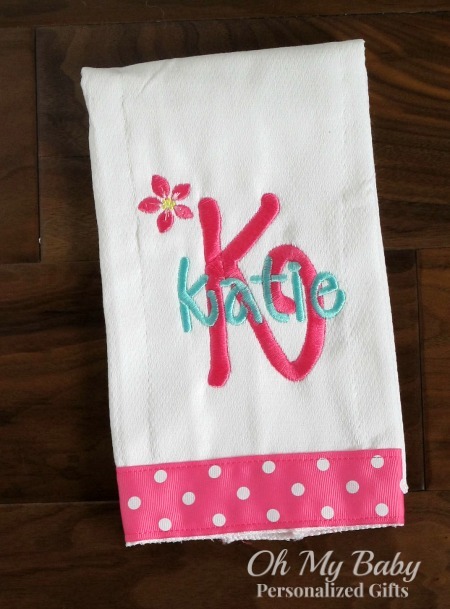 Blossom color will automatically change to match your choice of big initial color for your personalized burp cloth.